We hope you will look to us at Clark Septic for all your septic installation needs in the Orlando, FL area. Septic Installation in Orlando – Whether you have a new construction home or your current septic system is in need of an update, we hope you will look to us at Clark Septic for all your septic installation needs in the Orlando, FL area. We have over a decade of experience in Central Florida, and we offer a professional service that is consistent with our family-owned values. Each of our technicians is friendly and helpful. Because customer satisfaction is always our #1 goal, we never settle for just getting the job done. Here at Clark Septic, we offer outstanding septic installation, preventative maintenance, and repair services. Once you have chosen us as your service provider, we can quickly evaluate what septic options are best for the needs of your home or business. We strive to fit you with exactly the tank that is best for you, your family, and/or your business needs. We know how important it is for us to provide you with exactly your septic needs and not push for large or complex septic systems that are unnecessary. 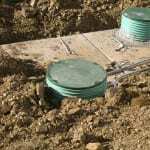 Our septic installation services are performed professionally and will be completed as quickly as possible. We strive for efficiency in all of our septic services, especially septic installation. We never want to inconvenience you with a long installation process. Once your new tank is in place, we also offer a variety of maintenance and repair services to ensure your septic system is always working smoothly. 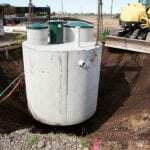 If you are in need of a new septic tank or your old one isn’t fulfilling your needs, please contact us today. We serve Central Florida, including Orlando, Winter Park, Ocoee, Altamonte Springs & surrounding areas. At Clark Septic, we offer high-quality septic installation services in Orlando, Altamonte Springs, Deltona, Ocoee, Pine Hills, Winter Park, and Winter Springs, Florida.